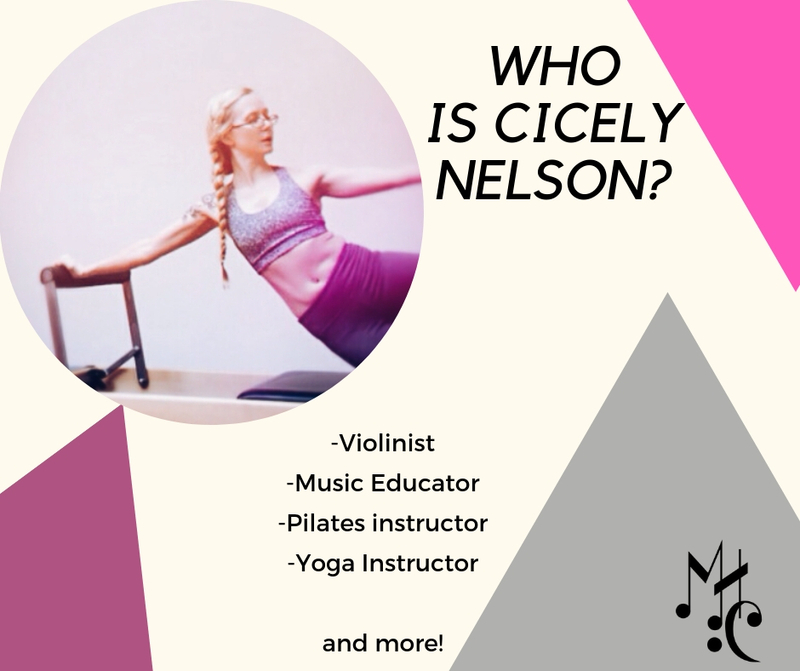 Musicians' Mind Body Warm Up Challenge: Who is Cicely Nelson? I first connected with Cicely a few years ago through fellow teacher Trina Altman, and I first interviewed Cicely for the blog on her unique past as both a mover, dancer, musician, and educator. For those of you who haven’t met her, here’s a bit about her! Q: When did you first become interested in movement/mind body practices and how it affects music making? A: Was technically a dancer before* I was a musician, and really came to music through the lens of movement - so the line is pretty fuzzy for me. Q: What forms of mind body training do you have and what teachers inspire you? A: I teach pilates and a little bit of yoga (like you, less these days) and have been a physical therapy assistant in the past. My flamenco teacher, Belen Maya, inspires me because she comes at flamenco from both a physically holistic (she’s interested in therapeutic movement - very unusual for flamenco - and rewilding - connecting the body to the earth and the elements) and political place. I also consider Marie Jose Blom my most formative pilates mentor. Q: What are your favorite ways to move? A: I explore therapeutic movement daily - yoga, pilates, animal flow, dance. I’m also a very antsy person - I kind of always need to be moving, so running, walking, hiking are ideally daily activities. Q: If you could have coffee with a living or dead composer, who would it be? A: Haha coffee with a composer....Stravinsky. Quintessential dance composer. I strongly suspect he was nimble af and those Russians were so well trained. He probably knew more about dance history and choreography than most dancers these days.